When uploading a personal or a business website via FTP or administering it through server-side software – sitebuilders, scripts, etc. – many people immediately check out the changes on the Web. Those, who are interested not only in the outlook of the web page, but also need some technical details (e.g. page size, page elements source and the time taken for loading), are recommended to tune-up their browsers with a Site Admin Kit from Sitevalley. It is our personal research, ran on the latest version of Mozilla Firefox with useful Firefox add ons, we picked for you. YSlow addon is a small useful tool, which uses Yahoo!’s Smush.it service and is one of the top rated addons. It is installed on the right in the status bar and once being run, traces all the pages you load, providing the page size and telling the time it took to load. The screen shot above shows, that the tested site is rather resource intensive, so no wonder it takes that much time to load. However, who said it cannot be optimized. For the administrator to do that, he or she will definitely need to know what exactly requires optimization. But do you to take a closer look? As far as you can see, a click on “Open blockable items” brings out a pane, where all web page elements are listed and sorted by type. Such way of displaying makes analysis a lot easier, though in fact it’s the same information, available in the Page Source View. After this analysis you understand, that there are too many pictures, for example, so you either remove some of them or compress them – here’s the simplest optimization way. Optimization is not only about page size cutting. Sometimes the scripts, applied on the web page create much load and cause slowdown due to their misconfiguration. In order to have this resolved, the above mentioned addons are not going to be sufficient. Here is where some more serious means are needed. This one gives a full picture of the page loading process. It decomposes the page into minimal object (CSS, images, etc.) and counts their size and time, taken by any of them to get loaded. It really is very important for optimization analysis, as it allows to spot the most problem objects. If you are a Virtual or a Dedicated server user or even just a user of simple shared hosting, whose host has a public-available server status checking system, you may need to have another Firefox addon installed – Nagios Checker. After Nagios Checker download you will need to have it adjusted, this will require the details of the server, where Nagios software is installed. A click on the warning will bring you to the full Nagios web interface. Let’s say you have finally optimized your website. You save the changes, reload the page and then see something is missing. You make another change, save it, reload the page again… this may last too long to bear. 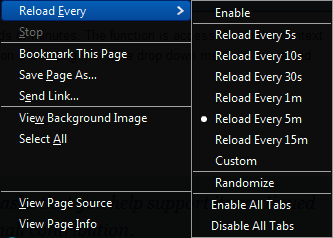 This Firefox addon will let you set the needed reload time interval and apply it to the needed tab or all tabs. 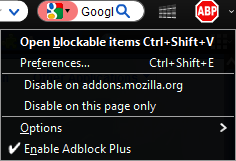 In order avoid Firefox overload, reload settings are not saved and should be applied any time you launch your browser. The addons above are supposed to help you a lot with administration of your web site. Those tools are easy to install and rather user friendly. Being well developed, they do not overload the browser and their design does not obscure the working area. We picked this Top 5 using our own administrative experience and experience of our customers, whom some of those tools were suggested. In case you know another useful addon, which might be helpful for site administrators, feel free to share your ideas.